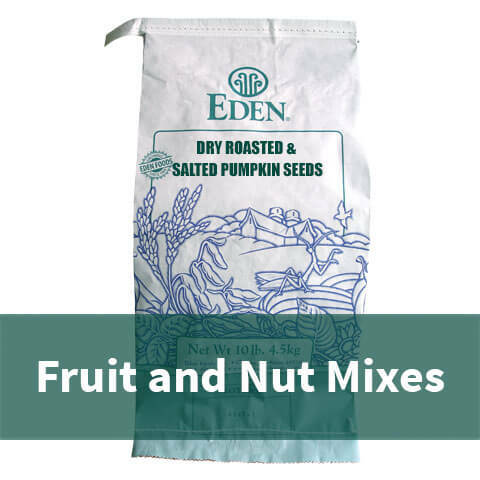 Most popular EDEN snack foods in bulk 10 lb. and 25 lb. packages. Bulk offerings are economical and ideal for food service, retail stores, co-ops, schools, or health care professionals. Families also enjoy the savings. Many share a bag with friends and family. Since 1972 Eden has cultivated trade with artisans dedicated to traditional food making for our supply of Imported Specialty Foods. 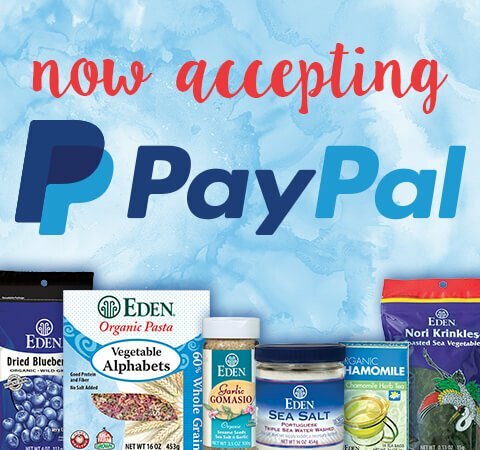 Eden has become the most respected and largest purveyor of these macrobiotic natural foods in the world. 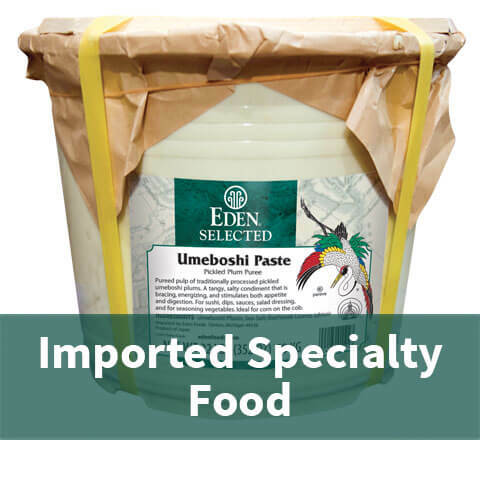 Check the EDEN Bulk Miso, Oils and Vinegars, Pasta, Sea Vegetable, Soy Sauces, and Tea sections for more selections of EDEN Imported Specialty Foods. 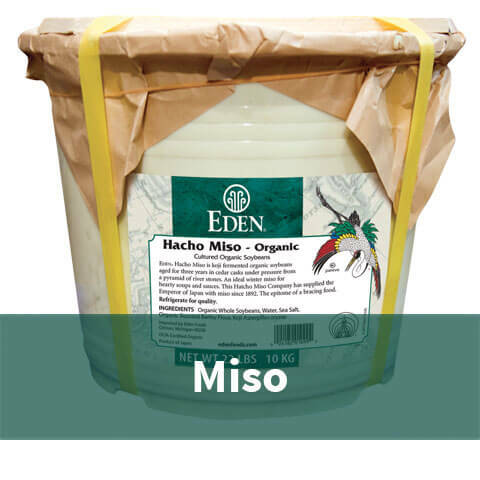 EDEN miso is made of U.S.A. family organic, non-GMO whole soybeans and grain, choice seat salt, and koji culture starter aged in 200-year-olld wooden kegs. Today, just a small percentage of the miso in Japan is made in this slow, traditional way. EDEN Natto miso is not a miso used in cooking, but a miso chutney condiment. It is also non-GMO. All are offered in economical bulk 22 lb. kegs. 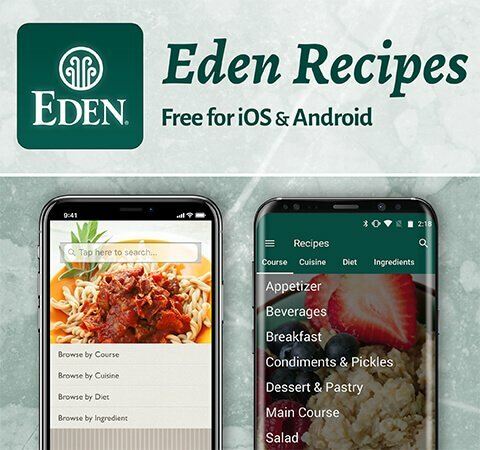 EDEN bulk unrefined cold and expeller pressed oils, and EDEN bulk raw, unpasteurized and traditional fermented vinegars are economical and ideal for food service, retail stores, co-ops, schools, or health care professionals. 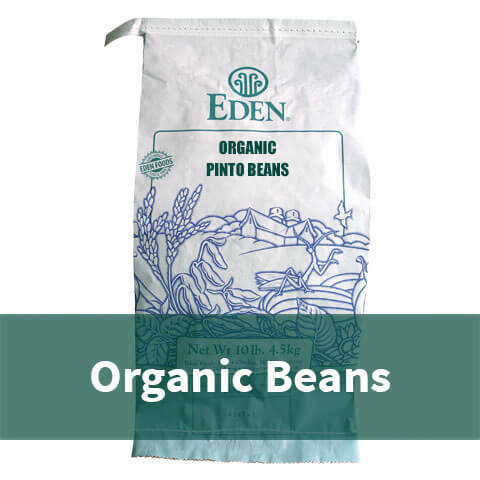 EDEN dry bulk beans are the best choice for a discerning food service, retail, co-op, school, or health care professional. Families can also enjoy pure savings. Many folks share a bag with friends and family. We store them at 55°F, cool and dry in our organic warehouse for maximum protection and freshness. The best bread, pastries, and baked goods begin with freshly milled organic whole grain. 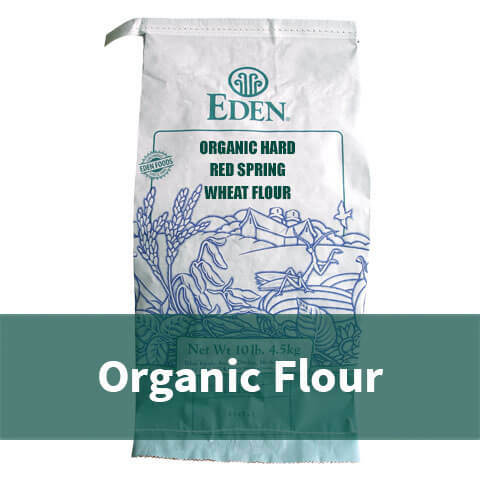 EDEN whole grain flours are U.S.A. family organically grown and small batch milled at Eden’s certified organic Michigan mill to ensure great flavor and optimum nutrient content. Available in 3-ply 25 lb. and 50 lb. paper flour bag, sewn closed, and stored in dedicated dry storage at 55°F. Other flours may be special ordered. 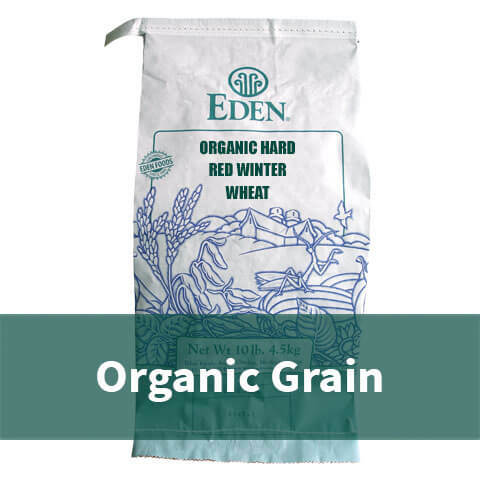 EDEN organic bulk grains in 3-ply 50 lb. paper flour bag, sewn closed, and stored in dedicated dry storage at 55°F. 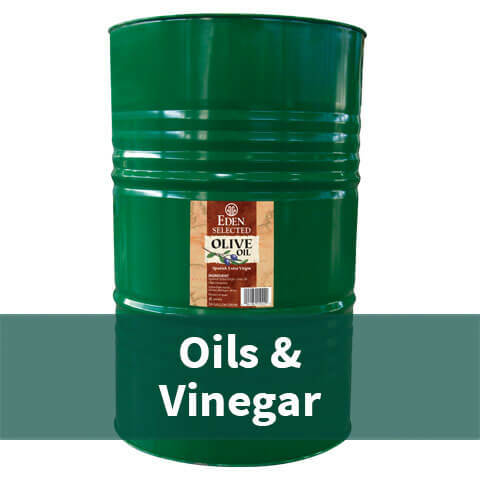 Bulk is the best choice for a discerning food service, retail, co-op, school, or health care professional. Families can also enjoy savings. Many folks share a bag with friends and family. 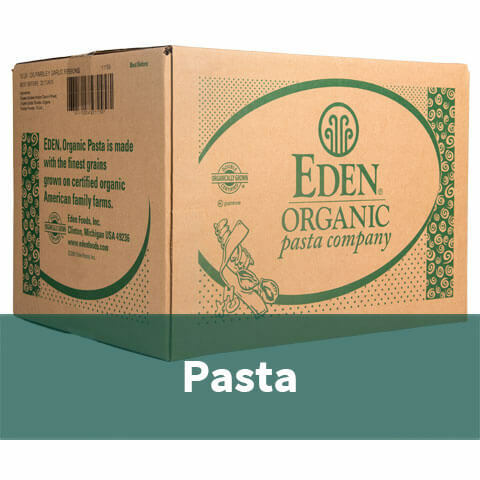 EDEN bulk pasta is economical and the best choice for food service, retail stores, co-ops, schools, or health care professionals. Families can also enjoy pure savings. Many folks share a bag with friends and family. EDEN bulk organic soba and organic udon are made for the Sobaya Company in Montréal, Canada using freshly milled flour and a bit of EDEN Portuguese sea salt. 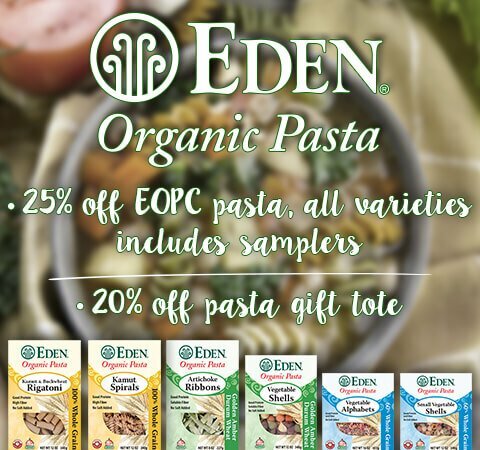 EDEN organic spaghetti, spirals, and ribbons are small batch crafted without salt added at our certified organic Eden Organic Pasta Company in Detroit, Michigan. The finest EDEN French Celtic Sea Salt from the Isle of Noirmoutier, Brittany, France and EDEN triple seawater washed Portuguese Sea Salt from Algarve, Portugal that have supplied the world with sea salt for millennia. 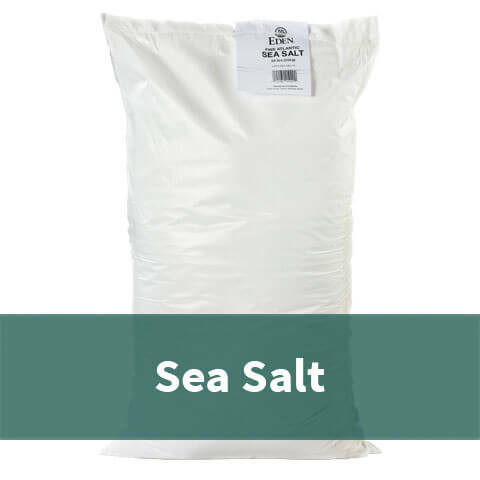 EDEN bulk sea salt is economical and ideal for food service, retail stores, co-ops, schools, and food service professionals. Share a bag with family and friends. Eden has supplied the finest Japanese sea vegetables since 1968. Our diligence and knowledge about every potential source ensures the finest of each variety is procured for our discerning clientele. 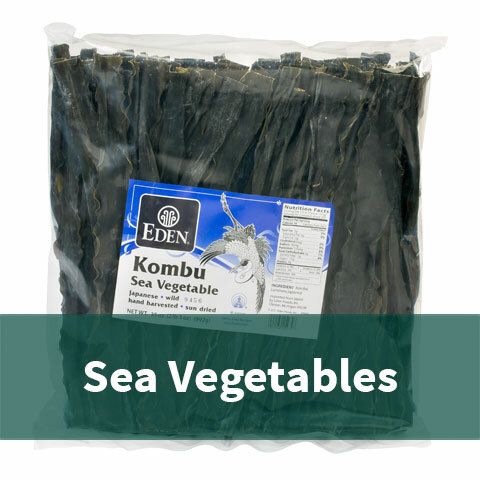 These specific EDEN Japanese sea vegetables are world renown for their idyllic purity, superb flavor, and unique nutritional value. Hand harvested and sun and wind seashore dried. Radionuclide tested. EDEN naturally brewed shoyu soy sauce is artisan made by those skilled in the ancient methods of koji fermentation and aged in cedar casks through two full cycles of the seasons. 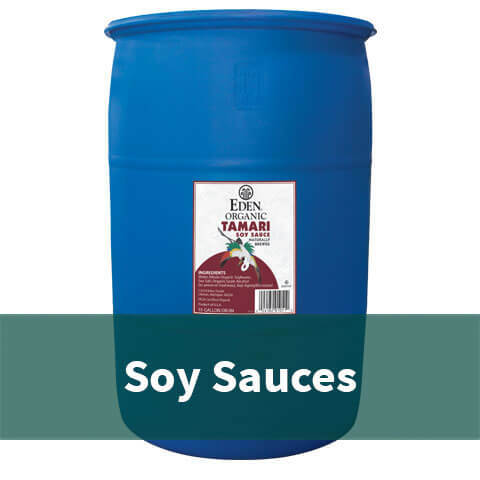 EDEN tamari soy sauce is crafted in the same manner, but without wheat being added. EDEN imported and domestic soy sauces are made from U.S.A. family grown, non-GMO verified whole soybeans. 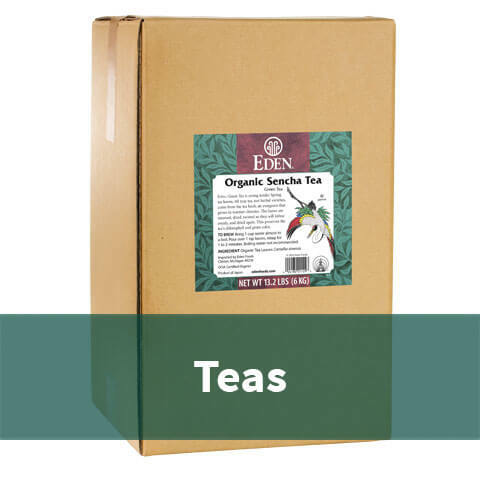 EDEN bulk teas come from the Nagata family tea cooperative in Uji, Japan. These farmers have been using organic management practices on their plantations since 1974. The Uji region is world famous for its green tea. Hand harvested. Bulk is economical and ideal for food service, retail, co-op, school, or health care professional. Families can also enjoy pure savings. Many folks share a bag with friends and family.